Home » Teaching and group facilitation » LS8 inside cover. 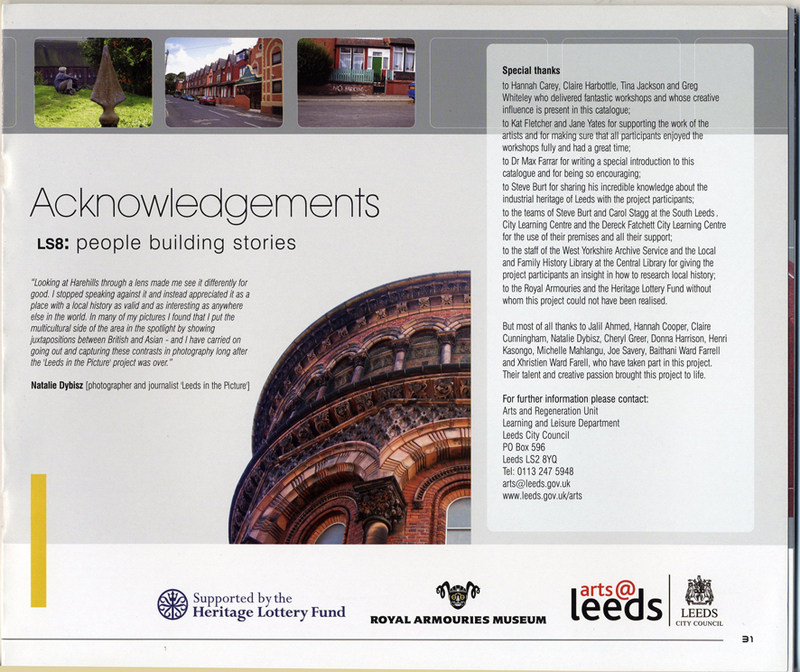 Inside cover of ‘LS8: People Building Stories’ publication. Publication part of Leeds in the Picture photography and local history project. Published August 31, 2014 at 886 × 744 in Teaching and group facilitation. Post a comment or leave a trackback: Trackback URL.